Topic & Themes | Experience as Evidence? ‘Experience’ has long been referenced as a valuable, if ‘subjective’, resource in a variety of fields. Especially in healthcare, highly personal, embodied understandings of illness have been studied as an alternative to ‘objective’ biomedical knowledge and are often used to critique biomedical reductionism. In the wake of this critique, as well as burgeoning patient activism and health consumerism, over the last fifty years an industry has emerged that aims to capture, process and distribute the patient ‘experience’. Consequently, a range of technologies, including customer satisfaction surveys, Patient Experience Trackers (PET) and patient reported outcome measures (PROMS), have been developed to inform patient choice, health policy and medical practice. Internet and other information technologies are playing an increasingly important role in the large-scale collection, aggregation and quantification of different forms of experiential data. This raises a number of questions about the nature of the knowledge generated by these ‘technologies of experience’. What does it take to turn experience into evidence? What new methods and expertise are emerging in this field? What promises, pitfalls and politics come with these approaches? And what are the implications for research, policy and practice? How is the notion of ‘the patient experience’ understood and enacted in different disciplines and industries? What is the relationship between ‘experience’, ‘experiment’ and ‘evidence’ in contemporary healthcare? Can and, indeed, should people’s experiences of illness be understood as a distinct source of knowledge and way of knowing? What are the epistemological and ethical consequences of speaking of ‘experiential’ or ‘patient’ knowledge? 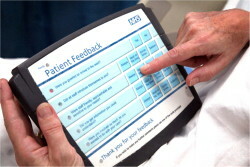 How are and can patient experiences be used in order to improve healthcare services and policy? What roles are played by patient organisations in the massive growth and political mobilisation of in people’s experiential accounts of living with illness? In what ways are people affected by different health conditions or concerns sharing their experiences across different media and how, in turn, are these experiences shaped these practices? How are internet and other technologies, such as electronic monitoring devices and neuroimaging technologies, intervening in and shifting our understanding of what counts as a patient experience? To participate, please register in advance. The preliminary programme will be updated closer to the event.